A new generation of low-cost Chromebooks are on the way, running the Intel Braswell chips that are expected to debut later this week. The new Braswell chips include new Celeron and Pentium processors, which will support both Chrome OS and Windows, said sources familiar with Intel’s product plans. More details on Braswell will be shared at the Intel Developer Forum in Shenzhen this week. New Chromebooks running Braswell are expected in the coming months from top PC makers, as well as from low-cost manufacturers China who might bring the price point down to less than $200. Braswell will also appear in low-cost Windows laptops, desktops and tablets. Intel first announced the Braswell chips a year ago, but shipments were delayed due to problems with the company’s 14-nanometer manufacturing process. Braswell is based on the same architecture as the Cherry Trail chip powering the new Surface 3. For those benchmarks, read our Surface 3 hands-on. 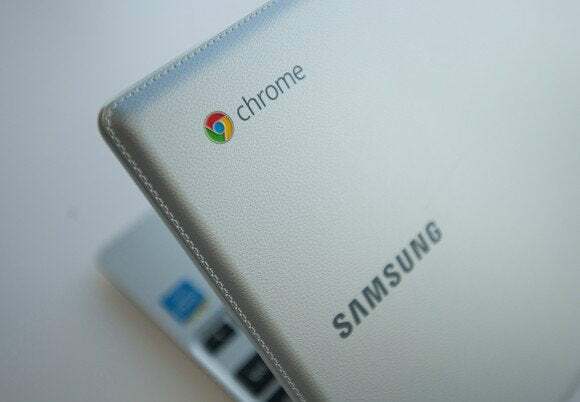 Chromebooks, favored by some who do most of their computing on the Internet, are powered by a range of Intel or ARM processors. Most Chromebooks priced starting at $200 to $300 have aging Celeron processors based on the Bay Trail architecture, which Braswell will replace. The fastest and most expensive Chromebooks such as Google’s Chromebook Pixel have Intel’s Core chip, which packs more horsepower than Celeron or Pentium processors. The new Celeron and Pentium chips could also be Intel’s answer to last week’s release of sub-$200 ARM-based Chromebooks from Haier, HiSense and Asustek. Chromebook shipments are rising in a flat PC market, and have become a new battleground for Intel and ARM, who also compete in servers and mobile devices. Braswell should deliver better graphics performance, though battery life may not get a boost. The chips may be a good fit for Chromebooks, in which the speed of a wireless connection is most important with the bulk of processing happening not locally but on remote servers hosting applications. That may change as Google is making available more applications that work offline. Though Intel has toyed with the idea, Cherry Trail chips—which like Braswell are based on the Airmont CPU architecture—won’t appear in Chromebooks. The Atom chips are designed for “behind the screen” devices like tablets and hybrids, said Josh Newman, general manager of the tablet segment at Intel, in a recent interview.